This post is sponsored by Barber Foods. This Chicken Broccoli Cheese Baked Potato recipe has it all! It’s quick, kid-friendly and comfort food at it’s best! 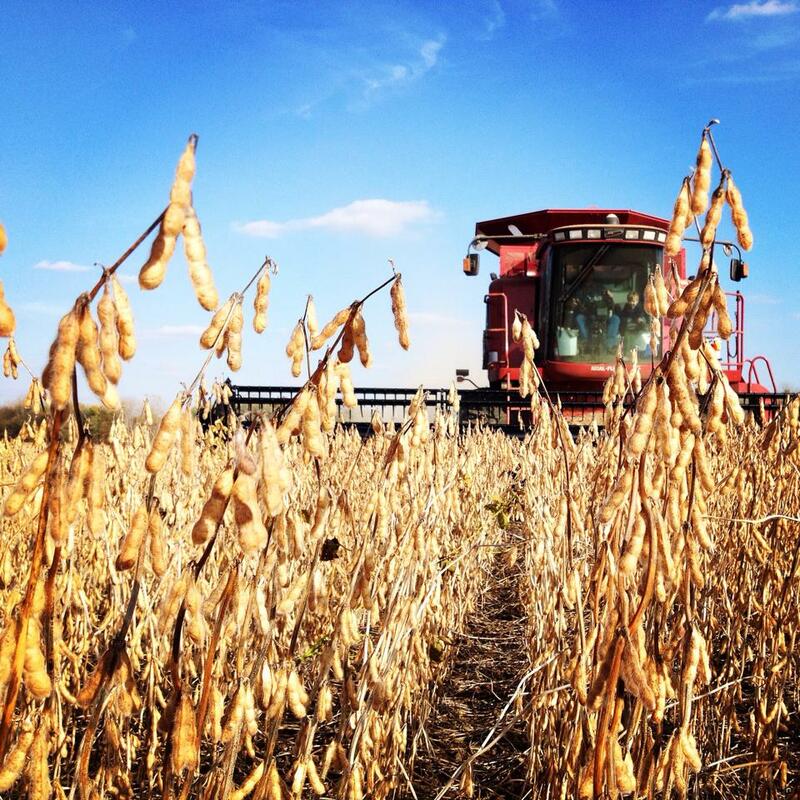 The fall is a busy time of year full of soccer games, school activities and our favorite time of year on the farm, harvest! I am always looking for new recipes that fit our busy schedule, feed our hard working crew and keep me from running through the drive thru. I was genuinely excited when Barber Foods reached out to me to see if I would feature their product because I knew my family and readers would love it! 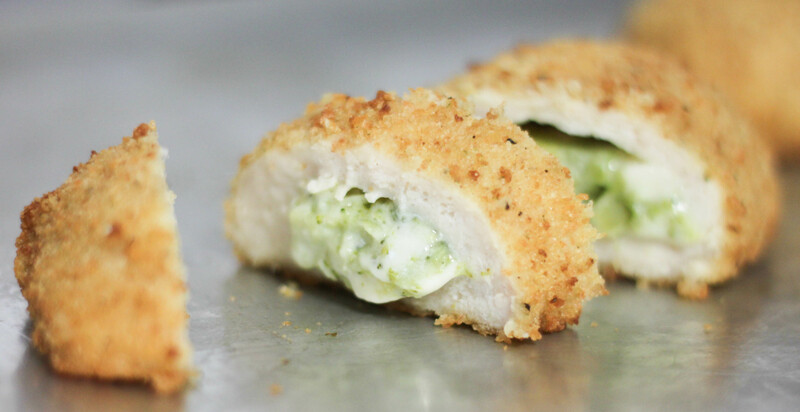 The stuffed chicken breast are sold as raw or fully cooked and come in lots of different varieties including Broccoli and Cheese (featured in this post) and Cordon Bleu. They can be found in the frozen food section or in the coolers in the meat section of both Kroger and Walmart. I have even seen them at Sam’s Club. The Barber Foods website makes it easy to find their product no matter where you live. I also love the fact that they are individually packaged making it easy to cook as many as you need and freeze the others for later. 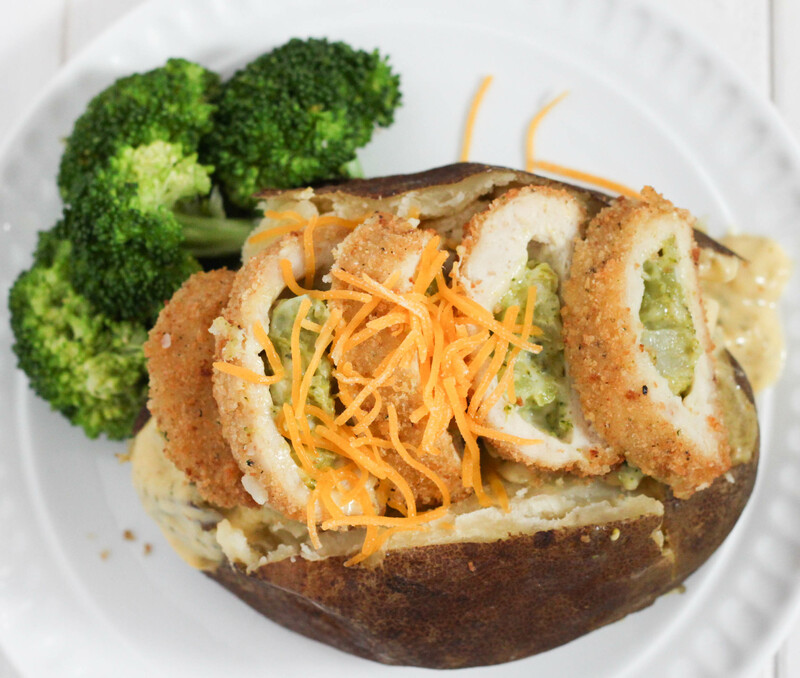 The first time I made the stuffed chicken breasts my 4 year old told us all that we were eating “surprise chicken” for dinner and gobbled a whole piece up! A 4 year old eating surprise broccoli, total mom win! 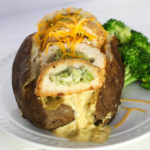 🙂 The stuffed chicken breasts are easy to make, simple as preheating the oven to 375 degrees, removing the chicken from the pouches, placing on a flat metal cookie sheet and baking for approximately 35 minutes. Be sure to let them cool for 3 minutes after you remove them from the oven before serving. If you haven’t made baked potatoes in the crock pot you are missing out! 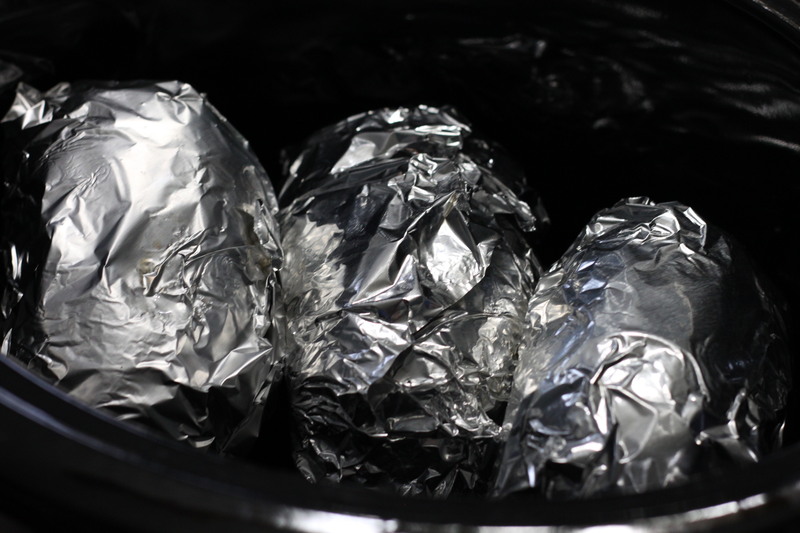 It is as simple as drizzling a little olive oil on the potato, sprinkling it with some salt and wrapping it in foil. You can cook them on high for about 5 hours, depending on size, or about 8 on low. Making them perfect to toss in the crock pot before you leave for work. To serve heat the broccoli cheese soup until warm. Cut down the center of the potato and pour about 1/4 – 1/3 cup of soup per potato. Slice the chicken breast and arrange on potato. Sprinkle with cheddar cheese and dinner is served! Drizzle potatoes with olive oil, sprinkle with salt and wrap in foil. When potatoes are close to being done, cook chicken breasts according to package instructions. Warm soup and milk in small sauce pan to create sauce. Cut cooked potatoes down the center. Drizzle 1/4-1/3 cup sauce on potato. Cut chicken breast in small strips and lay on top of potato.